The development of social media provided a medium for instantaneous engagement across all social strata. As the number of people engaging on social media platforms increase, these platforms have turned into breeding grounds for outlandish, exaggerated and often dangerous ’fake news’. 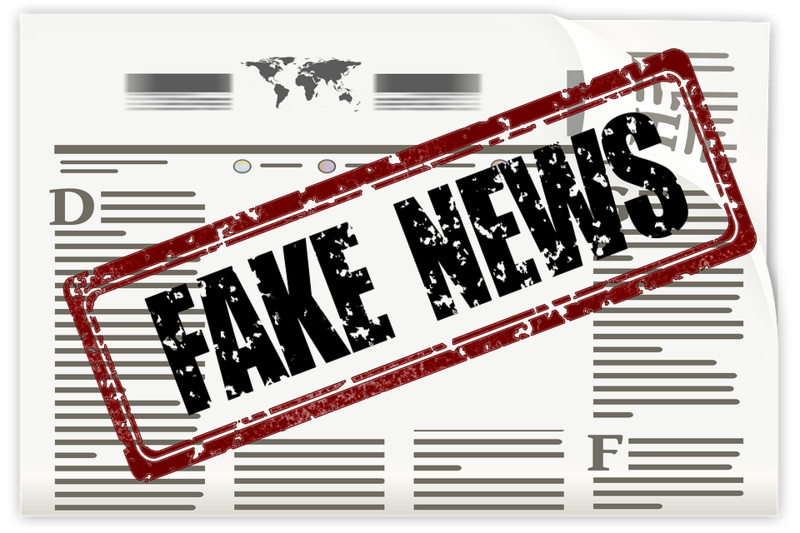 This fake news covers misinformation and hoaxes that go viral on social media, and often lead to undesirable consequences. The expeditious dissemination of these materials and their sheer volume have created what can be called as epidemic of misleading and fallacious news on social media. From posts about an Iranian girl’s dramatic transformation to look like Angelina Jolie to the alleged torture of a young man who was found dead under mysterious circumstances that sparked communal tensions in coastal Karnataka, fake news has dangerous repercussions. On the bright side, there are startups and other independent initiatives that are doing their part in dealing with this epidemic by debunking or developing methods to stop spreading such misinformation. This self-funded project began as a humble WordPress site in 2015. 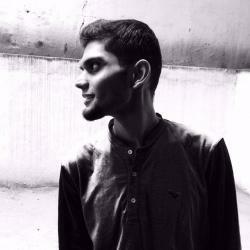 Founded by Shammas Oliyath, a software engineer at IBM in February 2015, Bal Krishn Birla, an entrepreneur joined forces with Oliyath in July 2016. Since then the two techies from Bengaluru have taken it upon themselves to quash fake news and hoaxes doing the rounds on social media. In addition to their professional commitments, the two founders help people sending in queries to their WhatsApp number during lunch breaks and after office hours. Reportedly, there are over 200 such queries sent on their phone number and thousands of requests submitted to their website per day. While Oliyath handles research, Birla takes care of the technical aspects of the site, especially search engine optimisation that directs traffic towards them when messages are searched online for verification. Some of the categories found on their website include promotions, internet rumours, and jobs among others. Interestingly, the founders have gone on record to say that most of the material they verify is political in nature. Other than fake facts and figures that get circulated, another major issue is fabricated or fake quotations attributed to public figures. Storyzy, an ad-tech startup formed in 2012, helps in verifying such questionable quotes. Employing Natural Language Processing (NLP) to identify fake news in real-time, this startup specialises in automated unique quote extraction. Initially starting as Trooclick, the company developed a browser add-on known as Glitch Spotter, that tagged fake financial news. However, in 2015 Glitch Spotter was shutdown and Trooclick eventually became Storyzy. It launched its quotes search engine in June 2016 and began concentrating solely on quotes. In 2016, the startup raised $900,000 seed funding to expand. A social media user can use Storyzy’s Quote Verifier to validate a quote by pasting the text from an online news in the box and hitting check. With a database of over 15 million quotes, it extracts reported speech from the online textual news material, along with other metadata. The text is converted to data using NLP and verified for authenticity. This london-based AI startup was founded by NLP researchers Dhruv Ghulati, Andreas Vlachos and Sebastian Reidel. It made headlines in June 2017 when it secured a seed funding of $750,000, which included investment from Mark Cuban, businessman, investor and the owner of NBA’s Dallas Mavericks. Before securing the $750,000 funding, Factmata had previously received a grant of nearly $70,000 from Google’s Digital News Initiative (DNI) in 2016. The startup does automated content scoring and verification, specifically targeting the dissemination of fake and misleading news. It is now working on building an AI-based platform for fact-checking and news aggregation. The model that the founders are adopting for now borrows elements from two famous crowd sourced information sites — Wikipedia and Quora. The process of fact-checking is to be powered by people with interest and concern towards fake news, and in time is expected to be completely automated and powered by AI. In the initial model, users will serve as watchdogs and flag content that is false. When operational, the platform will provide two kinds of services — one for journalists, media enthusiasts, newsreaders and general public, and secondly for advertisers and businesses. An Indian initiative to combat fake news, it began as Facebook page in 2015, before creating a website of its own. A personally funded initiative of a Mumbai-based businessman Pankaj Jain, it tackles every known kind of spurious ‘news’ circulating on social media based on issues surrounding religion, politics, scams and communal issues, among others. The website received a more wider audience after it received praise online from prominent Indian personalities such as noted journalist Shekar Gupta and musician Vishal Dadlani. It was also covered by the media both in India and abroad. SM Hoax Slayer’s posts have featured in prominent news outlets as proof to put rumours and fake news to rest. Like Shammas Oliyath and Bal Krishn Birla, Jain works on debunking hoaxes and setting records straight on fake news, along with his full-time commitment as a businessman. Depending on the nature of the content — from morphed pictures to viral political hoaxes — Jain always has an ear to the ground for news items from the archives resurfacing as distorted and fabricated trending news. Founded in 2005 by Adam Hildreth, also the Chief Executive Officer and Director, Crisp Thinking is a social media risk management firm that protects the image of brands, companies and online communities on social media. It promises 24×7 monitoring and moderation of content posted on the social media pages of the brands it manages. The contents assessed for risk are images, videos and text, and includes substantial amount of user-generated content posted on these pages. Posts relating to terrorism, violence, illegalities such as infringement and abuse are picked up within 15 minutes of posting and the parties at harm’s way are notified. They also moderate thousands of online channels and scrutinise over 3 billions items of content every month across 50 languages. Initially established to protect children and teenagers using social media and online games from cyber bullying and sexual abuse, the company evolved into a watchdog protecting the online credibility of companies and other groups. Recently, Hildreth had said that one of the main issues that their company is dealing with is mostly racist, violent and related to terrorism. The momentum a news item or a post gains online is based on the massive number of likes and shares it receives, which in turn increases it visibility and popularity. This holds true especially in the case of fake news. This Warsaw-based startup founded in 2017 by Grzegorz Kapkowski and Maciej Olpinski goes against this trend and establishes a platform that integrates blockchain and token-based ranking for content validation. They also received a seed funding of $800,000 in 2017. It creates a content network that depends on ranking algorithms that use digital tokens such as Bitcoins to verify to the quality of the item. The beauty of this platform is the ‘tokenisation’ of every item. By attaching an economic incentive to every item, an auditable digital trail is automatically created. This helps in accurate validation of content and assigning its true importance in spite of the tampering of metrics by bots and falsified information spread in abundance. Founded in 2017 by Pratik Sinha and an anonymous contributor who goes by the name Unofficial Sususwamy, Altnews is a fact-checking website, which fights fake news like its mentioned Indian counterparts on the list. It aims to fight propaganda and misinformation found on social media. A software engineer by profession, Sinha quit his job to devote his time and efforts to AltNews. Sinha was invited by Google News Lab Asia-Pacific Summit 2017 in Singapore to discuss about possible solutions to combat fake news. It is a non-profit initiative registered under the name ‘Pravda Media Foundation’ and funded by Sinha himself. However, it seeks to expand its operation and reach, and only seeks donations from its readers for the same.